Family Man - Notes: 59-69. Page 59-63: no notes here. I don’t think the horrors of 18th century childbirth and miscarriage need to be gone into with much detail. 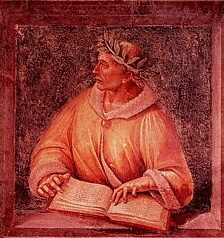 Page 64: That would be a book of Publius Ovidius Naso, aka Ovid, the Roman poet best known for the Metamorphoses, a big, bright, crazy compendium of poems retelling classical myths, all featuring, well, metamorphoses. Go read the one about Actaeon and Diana and come back with your book report. Laws regarding the treatment of the Romani during this time were harsh. In the France of 1764, you were forbidden both nomadism and permanent residence, which brief analysis shows to mean “being a Gypsy in France”. The sentence for adult males found in violation of this lovely Catch-22 was 3 years in the galleys; for everybody else, 3 years of confinement in a poor house. Multiple offenses terminated in a life sentence. Elsewhere, communities were simply encouraged to round up the “Bohemians” and open fire on them. 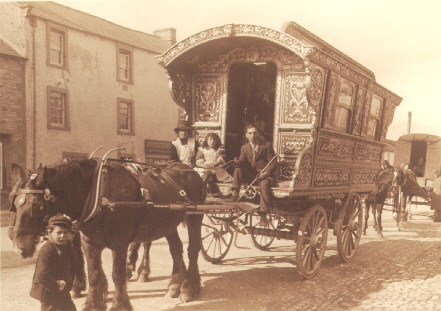 The 18th century in Germany saw numerous attempts to eradicate Gypsy society entirely, either by socially dissolving it or by killing its constituents; Charles VI and Frederick William I both gave carte-blanche orders to the citizenry to exterminate any gypsy who came into sight. In short, if you were in a Gypsy caravan (kumpania) and weren’t interested in spending your winter on the Russian steppe, you were going to have a tough time finding somewhere to stay, and the rare territory with a lax attitude would be a valuable commodity. Things haven’t changed much. The Gypsy communities that survived the Holocaust are now generally facing a future of settlement, either by force of law or the increasing difficulty of a transient lifestyle. Read the excellent book “Bury Me Standing” by journalist Isabel Fonseca for more. Page 69: The skyline is a take on the Bavarian town of Rothenburg ob der Tauber, a popular tourist destination for its well-preserved medieval architecture. Apparently there weren’t any sufficiently important military targets nearby for my grandfather’s plane to drop bombs on during WWII.